It's time for me to get a new laptop. My Dell XPS M1330 is still running well, though a bit battle scarred. But I like to upgrade well before I see any real trouble - as a self-employed person, I have only one machine and no backup plan to deal with downtime. Owing to heavy travel and daily commuting, I prefer ultraportables. An ultraportable is defined as a machine which weighs approximately 2kg or less and it usually has a screen size of 11 to 13 inches. 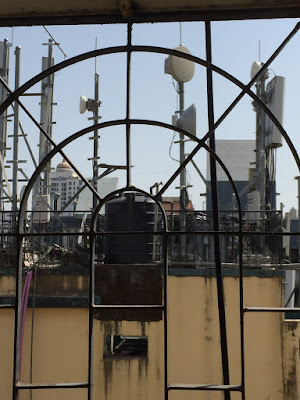 However, it needs to have specs of a performance notebook, rather than a netbook ; which in today's terms means, an iCore processor, 3GB or more of RAM and 320-500 GB of Hard Drive space. These are some of the issues I have faced in selecting an ultraportable. 1) Price : Ultraportables are mostly targeted at business users and carry a steep business tag. At the top end, Dell Latitude and the Sony Vaio Z series go above Rs. 1 lakh and this pricing makes them more appropriate for corporations than individuals. At the lower end of the price spectrum, Dell Vostro and the Lenovo ThinkPad Edge series are priced from Rs.30,000 onwards, but the lower-priced models tend to carry older, slower processors. The business orientation of ultraportables is reflected in the pricing - you can clearly see the hierarchy from the CEO's laptop, to one that is intended for a travelling sales representative. If you look at mainstream notebooks (especially those with 15 inch screens), the feature set at a price range tends to be stable across manufacturers. For example, the latest laptops across brands are featuring iCore processor and 3GB of RAM and are priced from Rs.30-40,000. Pay a premium (usually upto Rs.50,000) and you get an iCore 5 processor, perhaps a dedicated graphics card, more storage space. It is easy to understand the pricing structure and then take a decision. With ultraportables, different manufacturers (and models) tend to trade off different specs for portability and price, making the decision fairly confusing, despite the fact that there are only a handful of true ultraportables. For instance, the Sony Vaio Z series implements SSD (Solid State Drives) to command the Rs.1 lakh + price, but I would argue that this is not a feature I would pay such a huge premium for. The Lenovo ThinkPad Edge series offers easy prices (under Rs. 50,000) but features a range of older AMD and Core2Duo processors, as do some of the Dell Vostro models. Add to this the fact that some machines have optical drive, and others do not, some have graphic cards, while others do not, and the configuration options tend to be limited. For example, you cannot get a graphics card option on Vostro. Battery life also tends to vary a lot. 3) You cannot see or try before buying. You will not see ultraportable ranges in large stores - not even in Croma. Mostly, you have to order directly from the manufacturer or through the distributor. While looks are not that important for me, I do like to check the keyboard and screen for myself to ensure a comfortable usage experience. You end up relying on reviews, which are fortunately comprehensive and reliable guides to making a choice. My verdict after one week of comparing all models within my budget, is that there is currently no perfect ultraportable. Nothing that excites me as much as Dell XPS did 3 years ago. Still, here is my shortlist - I guess I will have to choose one of these. In this configuration, Dell India currently offers only iCore 3 or iCore 5 processors, so you won't be short of computing power for business productivity. There is 3 GB of RAM, 320 GB HDD @7200 RPM and an inbuilt optical drive. There is no option for Graphics card (which is fine for me). Prices range from Rs. 35,000 to Rs. 45,000 exclusive of tax and delivery, so your budget in any case will not exceed Rs.50,000.In terms of pure specs at this price point, this is the most attractive ultraportable on the market right now. Dells support for Vostro is also very good, making this a reliable choice for small business users like me. But there are some inherent defects with this model. The biggest one is the low battery life of the default 4-cell battery reported in user comments on the Dell site and reviews on CNet Asia and other sites. We are talking an average that's closer to 2 hours. This may not pose a problem if you are always close to a power source, but it's still below par. You can spend extra bucks to buy an 8-cell battery, but that kind of defeats the purpose, increasing the weight, cost and ruining the looks of the machine. I had made an earlier post about this model and it's kinda disappointing for me that they have not worked to improve battery life at all! I really wish that Dell offered a default 6 cell battery on this unit that would at least deliver the mandatory 3-3.5 hours of use that is acceptable for a laptop. Toshiba India currently offers two flavors of this laptop - one with iCore 3 processor and 320 GB HDD and the other with iCore 5 processor and 500 GB HDD. Both the models are incredibly light (under 1.5 kg) and both have garnered rave reviews from sites like LaptopMag and even a word of praise in Walt Mossberg's column at WSJ. 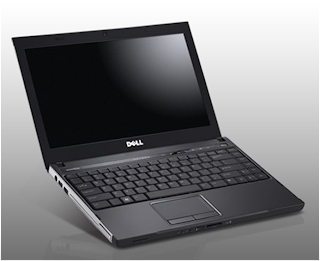 The Portege R700 shows Dell the way to do it, offering 6 hours of battery life on a 6 cell battery. The flip side seems to be that this machine heats up a lot (but most laptops with powerful processors unfortunately do that). It also has a very loud fan. But these are small quibbles for me. I would love to buy this machine, and the only reason it's not No.1 in my list, is that the price is Rs.65,00 for the i3 version and Rs.75,000 for the i5 version. It's not a budget ultraportable, nor is it priced over the moon, but when I can get the same specs on a Dell for Rs.30,000 less, I cannot blindly go for this. Approximately 1/2 kg less weight and 4 extra hours of battery life are a draw, but not at this price premium. 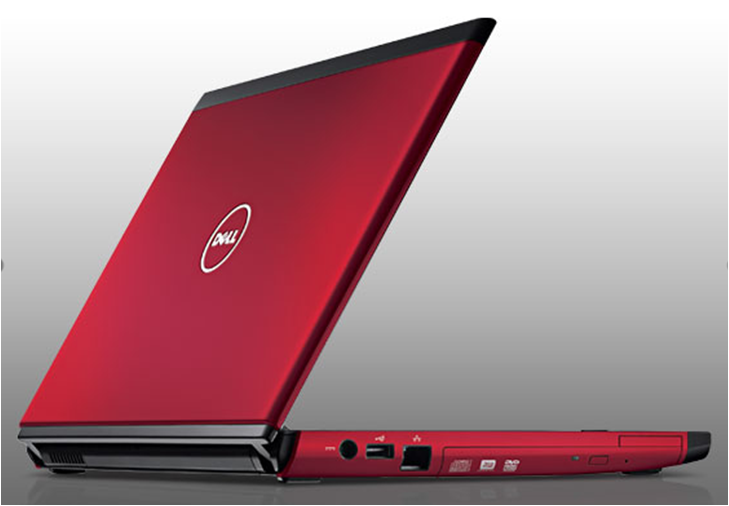 The price does include a 3 year limited warranty, which is better than Dell's default 1 year warranty. The newest Vostro on the block is displayed on the Dell India website, but price or order information has not yet been put up. According to PC World India, the price will be in the Rs.36,000-45,000 range depending on whether you go with Core i3 or Corei5 option. The Vostro V130 has killer looks, is really light and thin and features the newest range of ULV iCore processors. Where Vostro V130 falters though, is on exactly this aspect - battery life. It delivers even less than 2 hours on average (though it has a six cell battery) which is very poor considering that the entire purpose of the ULV processor is to save power and extend battery life, with a small impact on performance. This machine lacks an optical drive and has a sealed battery unit which cannot be user-replaced. However, it does have an HDMI port which is lacking in the Vostro 3300. There are some more models that would have been at the top of this shortlist, if only they were available in India. For example, the Asus U45Jc-A1, which is the ultraportable cousin of the 14 inch U45Jc. Or Acer's newest Timeline X series, featuring the same ULV iCore processor as Dell V130, but with more than triple the battery life.